18kt Gold plated brass earrings. With fresh water white baroque pearls. 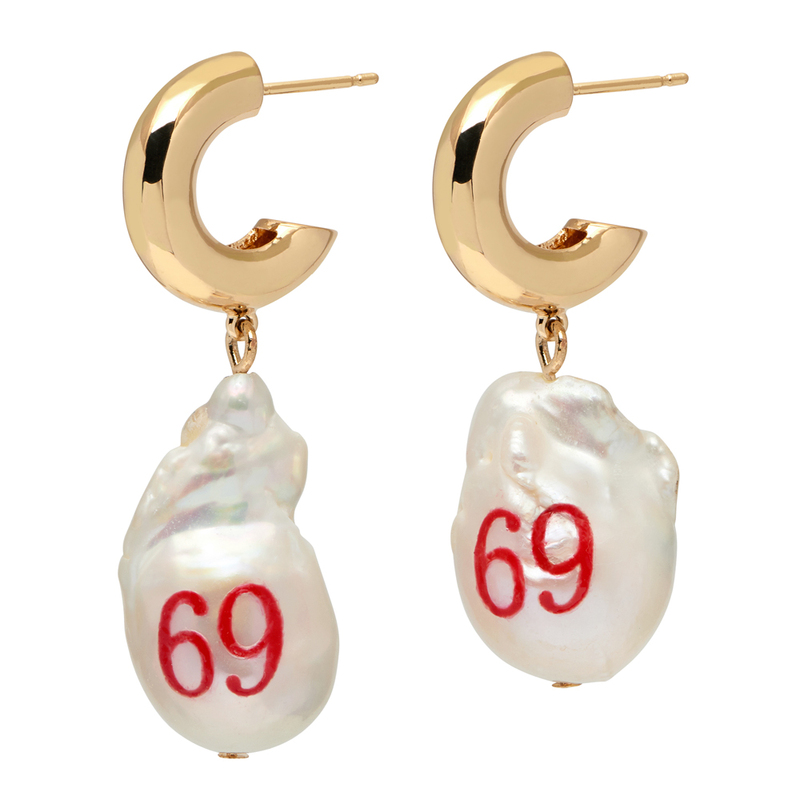 Engraved pearls, hand painted cherry red enamel.